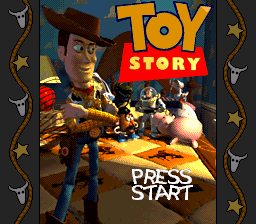 1996 - Toy Story is released for the Sega Mega Drive in North America. Panzer Dragoon Zwei Original Soundtrack is released in Japan. 1997 - Twenty games are released for the Sega Saturn in Japan, including Casper, Magical Hoppers and Command & Conquer, as well as Satakore rereleases of games such as Virtua Fighter 2. 2001 - Monkey Ball is released for the Sega NAOMI in Japan. 2013 - Hell Yeah! Pocket Inferno is released for Android in North America. 2017 - Puyo Puyo Tetris is released for the PlayStation 4 and Nintendo Switch in North America.